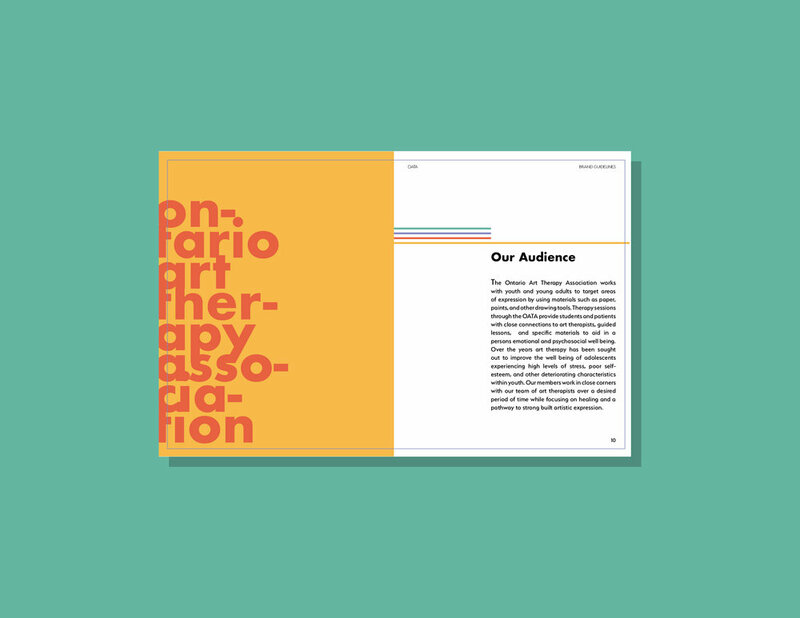 This standards manual is part of a hypothetical rebrand potential for the Ontario Art Therapy Association. It was created along with a new approach at branding the Not-for-profit organization by using shape and colour to represent the basics of art centering around psychotherapy for a younger audience. For project use only, information used to reposition brand standards credited to the Ontario Art Therapy Association.